Police in Maryland say Fynn Arthur, a student at Goucher College, admitted to scrawling threatening graffiti in a bathroom on the campus. COLLEGE PARK, Md. — A black student from Maine blamed his “bottled up anger” for racist, threatening graffiti he admitted to scrawling in a bathroom on a Maryland college campus, according to a police report. 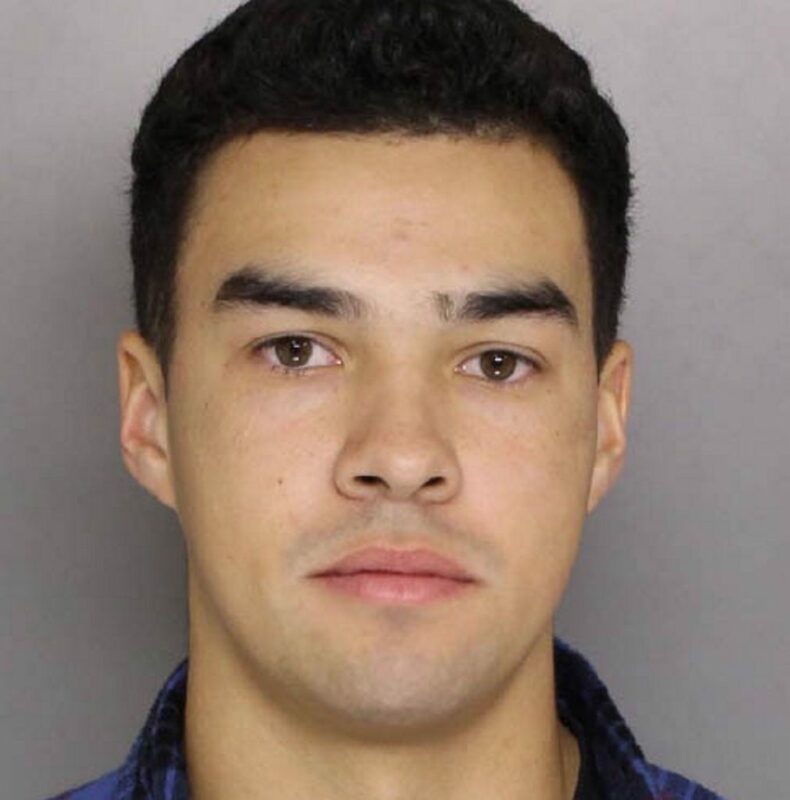 Baltimore County police on Monday filed hate crime charges against Fynn Arthur, 21, a 2015 Brunswick High School graduate who was enrolled as a student at Goucher College in Towson, Maryland. Police arrested Arthur on Thursday on misdemeanor charges of malicious destruction of property. He was released from custody after a court hearing Friday. State’s Attorney Scott Shellenberger said his office subsequently recommended the additional charges, which also are misdemeanors. “We felt that with the message that was involved, there was sufficient evidence that the motive behind the message was race-related,” he told The Associated Press on Tuesday. “When asked why he would do something like that, he replied that he has a lot of built up anger with no way to vent it on campus,” the report says. “These acts of hate have consumed our community, and we feel strongly that the suspect should receive the strongest charges, which reflect the seriousness of these crimes,” said their statement, dated last Friday. Shellenberger said he doesn’t know if Arthur has an attorney. Efforts to reach Arthur weren’t successful Tuesday. The new charges that Arthur faces make it a crime to damage property because of a person or group’s race, religious, sexual orientation or national origin. Police began investigating after a student found the threatening graffiti written in black marker in a bathroom stall and on a bathroom wall on Nov. 14. Police interviewed Arthur that day since his room number had been in the message. He said he was “shocked that someone would target him in that manner because of his race,” the report says. More racist graffiti, including the initials “KKK,” was found Thursday in a different bathroom on another floor in the same building. Investigators provided questionnaires to students named in the graffiti, and Arthur’s handwriting was “consistent” with the writing in both bathrooms, police said. Arthur had scanned his ID to enter the building shortly before the graffiti were discovered last Thursday, the report said. He also had scanned his ID at several residential buildings just before similar “bias-related graffiti” were discovered there in March 2017, the report says.